We have taken over 1,500 authors to Bestseller! 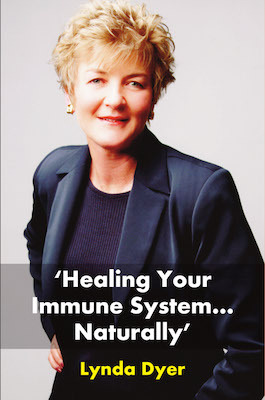 Lynda Dyer’s Healing Your Immune System… Naturally will soon be the latest! Lynda Dyer is a Certified Professional Trainer of NLP, a Master Trainer of Matrix Therapies, a coveted coach, a renowned author and a bona fide entity on the subject of wellness and natural healing. Through her work, she has touched many lives and helped many people overcome debilitating autoimmune conditions. She works proactively to enhance the quality of not just her own life but the lives of those around her. Throughout her career, she has written breakthrough books to help people, thus becoming an international best-selling and award-winning author. In her latest bestseller, Healing Your Immune System… Naturally, she discusses all facets of autoimmune disease and how it affects people from all walks of life. Lynda provides a comprehensive look on the current state of autoimmune diseases in the Western world and provides science-based facts regarding the functions of the human immune system. Her new book compiles many years of research and knowledge that the author has used herself for her personal wellness journey of struggling with Lupus. Lynda shares her initial struggles with the autoimmune disease and how she was able to heal herself by letting nature take its course. She provides a look at how she utilized medical research on the topic of wellness for her own benefit. The book touches on a wide variety of topics ranging from detoxification and inflammation to nutrition and emotional health and how it all affects the human immune system. Providing vital information in this easy-to-understand guide, the book can help people overcome their health challenges, rise above autoimmune diseases and improve their life quality. We have taken over 1,500 authors to Bestseller! Lisa Marie Platske’s CONNECTION-The New Currency will soon be the latest! Lisa Marie Platske is a leadership expert and master coach with a diverse portfolio of career achievements. A former Federal law enforcement officer, she left that world to become the CEO of international leadership training and consulting company Upside Thinking, Inc. Lisa Marie is known widely for her ‘7 Pillars of Leadership’ that she uses to create effective leaders in numerous organizations. 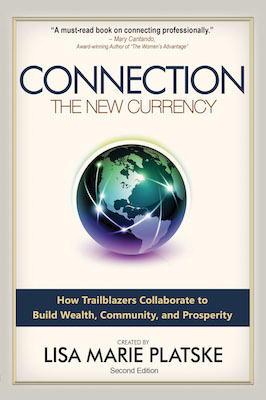 In this anthology, Connection: The New Currency ~ How Trailblazers Collaborate to Build Wealth, Community and Prosperity, Lisa Marie shares accounts from successful women who understand the art and science of connection. As a masterful relationship builder herself, Lisa Marie has forged deep connections with women from all walks of life, educational backgrounds and professions. The book includes poignant, at times heartbreaking yet always inspiring stories from accomplished women business owners, CEOs, CFOs, entrepreneurs and more. It offers readers an opportunity to practically apply to their own journey and participate in a connection challenge at the end of each chapter. Further, Lisa Marie addresses the importance of authentic relationships and valuable connections in order to succeed professionally and personally. She compels readers to rethink what constitutes success and provides an insightful look at how more can be accomplished when people join hands. Referring to connections as the new currency, she dissects the anatomy of a professional relationship and provides resources on how to create and nurture one. In order to help other women create the same relationships in their professional and personal lives, Lisa Marie provides a practical and comprehensive guide on connecting. Inspired deeply by the women she has connected with, she wants other women to connect effectively yet selflessly in order to create additional good in the world. We have taken over 1,500 authors to Bestseller! Kavitha Vipulananda’s Property in Stilettos will soon be the latest! Kavitha Vipulananda is a professional property investor, property developer and founder of the successful property management/property development company, Alleura. She has a Masters in Information Technology, a Bachelor of Civil and Structural Engineering (HONS) and a Bachelor of Science from the University of Melbourne. She draws techniques and strategies from these qualifications in educating and informing women on their property investment choices. She has also worked as a Project Manager for many high profile blue chip organizations in the Building and Technology sector including Telstra, ANZ, New Corp, Sensis and BritishTelecom. With this diverse skillset, she has leveraged her strengths to create millions of dollars of wealth for her clients and successfully navigated her path through the ups and downs of her own journey. 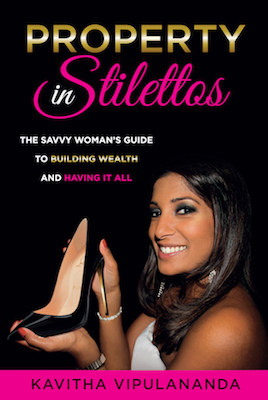 Property in Stilettos is a thought-provoking book that teaches women how to take their financial future into their own hands by building wealth through property. With the latest tools and strategies, women will learn how to set themselves up for financial independence, feel empowered through any challenges and stride out standing tall and in control of their finances. This book will teach how to: 1. Get yourself into the property market; 2. Create additional income for you and your family; and 3. Overcome your fears of investing in property. We have taken over 1,500 authors to Bestseller! Viki Winterton’s The Coach Exchange will soon be the latest! Viki Winterton is a formidable force within the world of literature and publishing. Having been in the industry for over 30 years, Viki’s extensive career is full of accomplishments accolades and lessons learned. Through her own experience and expertise, she always aims to help others in the industry and help budding authors find their own voice. With 13 #1 international bestsellers to her name, Viki has also co-authored many books. She is the founder of Expert Insights Publishing, a company that focuses on helping authors become bestsellers. To date, Viki has nurtured over 1,500 authors and helped their books become bestsellers. 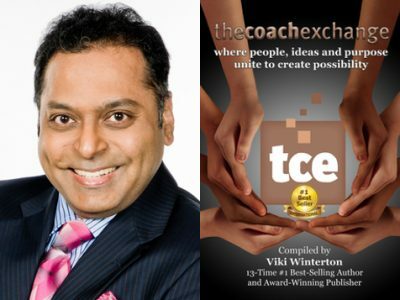 The Coach Exchange: where people, ideas and purpose unite to create possibility is an amalgamation of tips, advice and stories from a large group of coaches, authors, public speakers and intellectuals. 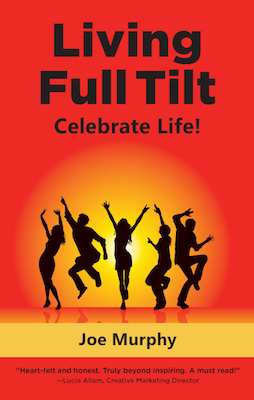 The book not only includes valuable business advice but tools and strategies for fulfillment in all aspects of human living. The Coach Exchangeis more than just a book, it is an entire community of coaches and public speakers who come together to channel greatness. Viki Winterton founded The Coach Exchangeas a membership-based community of coaching professionals who wish to share knowledge and form powerful relationships with like-minded individuals. Since its inception, The Coach Exchangehas been a gateway for many great minds to share the latest updates within the coaching community and help a diverse team of coaches grow and expand their practice. While the community was previously only limited to members of the program, Viki has now turned it into a comprehensive book that combines more than a decade’s worth of expertise and tools for excellence. This knowledge can help people from all walks of life open new doors and explore new facets of success that they previously thought to be unattainable. Congratulations to Marcelle della Faille for her #1 Int’l Bestseller, Make Peace With Money! Radiate More Love and Receive More Money. Marcelle della Faille is a best-selling author, mentor, trainer and translator. A woman of many talents and professions, she also has expertise in the universal law of attraction. She has dedicated more than 15 years of her life towards learning and teaching the law of attraction and shares this wisdom through her books, including Workbook for Law of Attraction Secret,The Prosperity Odyssey and A Secret Within Their Reach. With her work, Marcelle aims to help people develop a regimented lifestyle and become the best version of themselves. 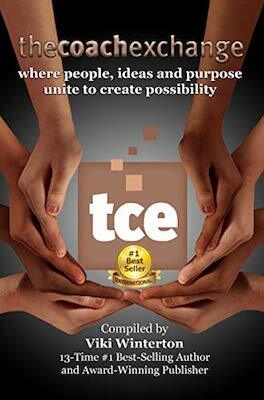 She has conducted many successful workshops to help entrepreneurs and creative individuals. She is also the Founder and Director of Aficea Coaching School, an institute focused on helping people achieve their utmost potential. 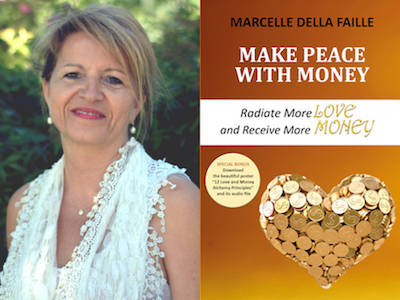 Her new bestseller, Make Peace With Money: Radiate More Love and Receive More Money is a testament to Marcelle’s unique perspective on life. Make Peace With Money is an easy to understand and extremely comprehensive book that is destined to change the readers’ perspective on money. Many people in the world believe that money pertains to shallowness and vice versa but money helps people attain many necessities in their lives and go on unchartered adventures. Calling this new book the “alchemy of love and money,” the author teaches readers how to develop a non-materialistic approach towards money and towards making money. By teaching readers how to respect and value money, she equips them with the right tools for financial success and personal happiness.